If you must work, why not work here? Make this office your home away from home for $2,052/mo, utilities included. The Ford Building provides creative office for 90+ Tenants in Portland SE Industrial Corridor. 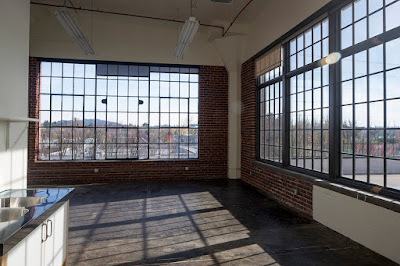 With 24/7 tenant access, shared conference rooms, showers, and ample parking, this dog-friendly building provides a creative hub unmatched on the SE side. For more info on leasing, contact NAI Elliott as seen in the right hand sidebar.